I’ve been quiet here, not for lack of sewing, but for lack of *shareable* sewing and computer time. 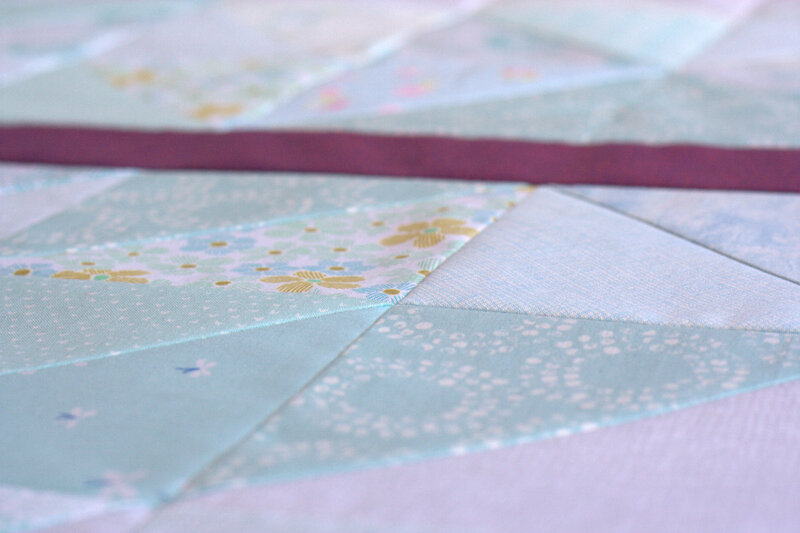 I’ve been working on my first commissioned quilt, and I’ve been buckling down to try to get it finished. I’m having fun with it, but as is the case with just about every project, it’s taking me a bit longer to get together than I had hoped. Perhaps one day I will learn that “I’ll just make a background of half square triangles (HSTs) and then I’ll just appliqué on top…” really is equal to cut, sew, press, trim, sew, cut, sew, press, trim, sew, on repeat for days, and while aesthetically “simple”, it is far from actually simple. The just is deceptively dismissive, but resides heavily in my planning process. I think part of my nurture goal for the year should include eliminating some “just” and being more realistic with my goals. In the meantime, I’ll continue making slow and steady progress, and enjoying the journey. I can’t share much, since who knows if the recipient may be reading this, but here are a few peeks at my progress, and at the awesome project that has been filling most of my sewing time as of late. I promise to show the final quilt once it is finished, gifted, and received. All I can say is that the half square triangles are “just” a canvas for something greater. 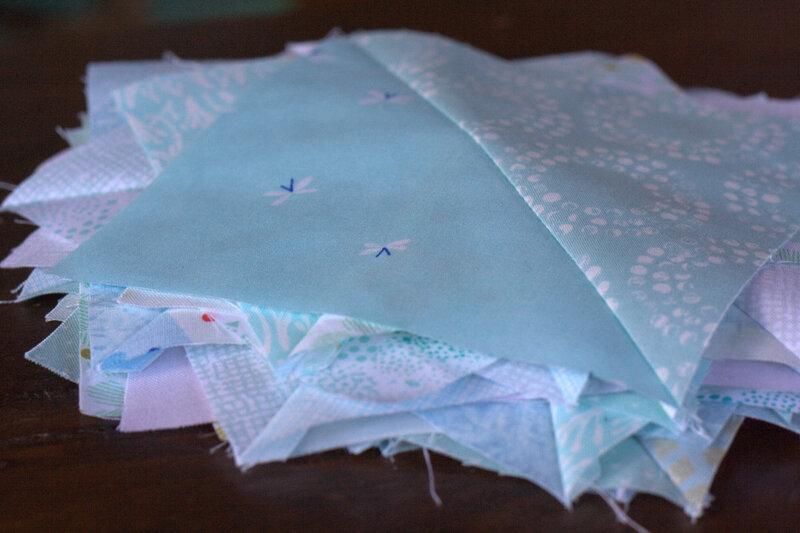 Back to the final stack of HSTs! 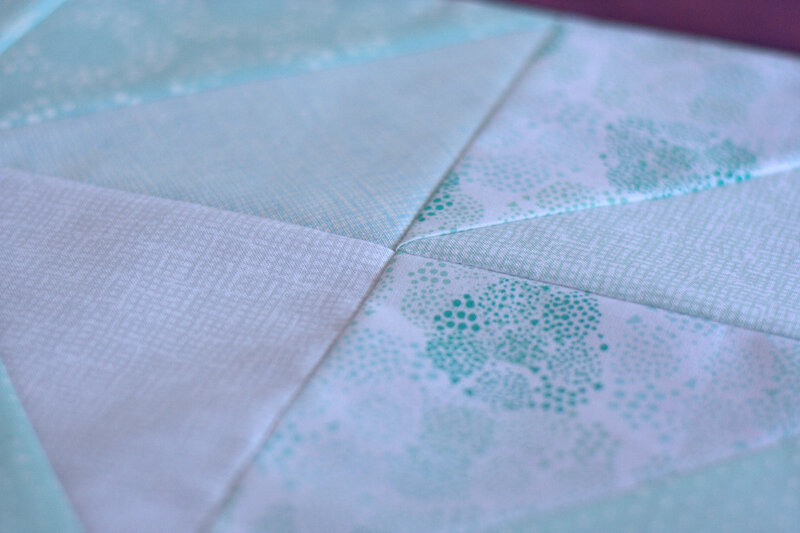 I’m linking up with Lee’s Works in Progress Wednesday and Lorna’s Let’s Bee Social for some fun socialization in this online quilt world. I heartily encourage dropping just from the language of quilt making. Your work is lovely Kitty! At my old job, we would joke about “just jobs” because they ALWAYS required more work than implied. Particular individuals (bosses) were worse about dropping of a “just” bomb right before closing time. I love the versatility of HSTs but I, too, always forget that they can be very tedious to work with on a large scale, especially all of the trimming. 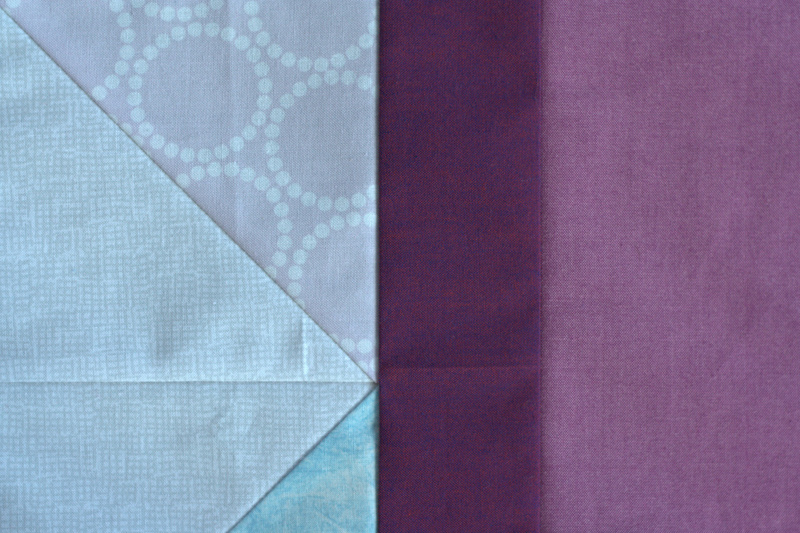 Love the colors/fabrics on this project and look forward to seeing the completed quilt once it’s gifted. 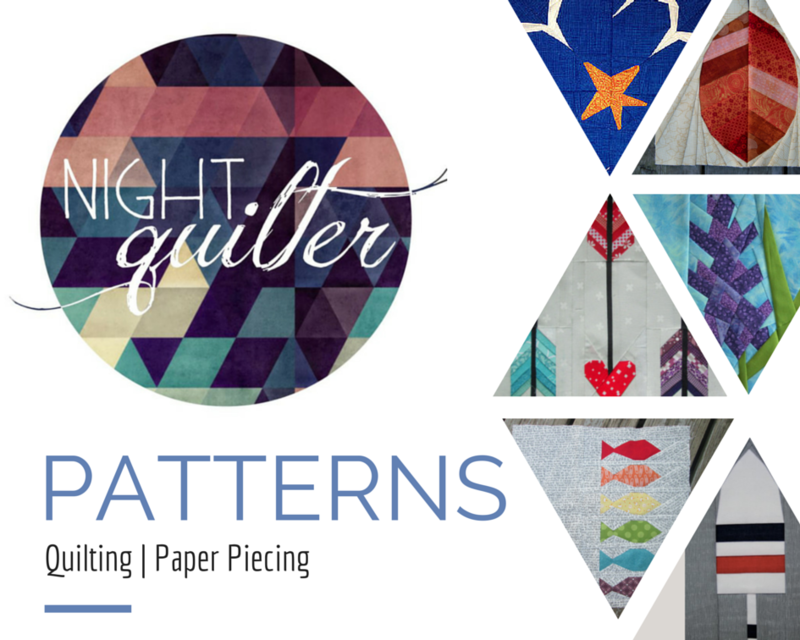 This past Saturday I got together with three other quilters here in Hamburg. At the end, each of us was quite amazed at how little we had actually gotten done. One of the gals there said that in order to calculate estimated time correctly, you need to take the amount of time you think a project will take and multiply that by Pi… this should give you the actual time that it will take to finish. Looks great so far! Beautiful colour choices! Those HST do take so much time and planning. Looking forward to the reveal of the whole plan. I always, always, always underestimate how long it will take me to finish things! I also use just for things that seem like they shouldn’t take long, but then take more time than expected. I always underestimate how long something will take. This project is looking great from the little bits you’ve been able to share. Good luck with finishing. I love how the darker purple stands out against the dainty pastel/lighter colors. And I agree, ‘just’ jobs are always the longest or most troublesome! I catch myself thinking it’s ‘just’ an extra few minutes when in fact it’s a half an hour or more! Lol. I too have been grappling with “just” lately, in quilting and the rest of my life. We use it to dismiss and minimize the challenge we face, and the challenges of others. It can be painful when you can’t “just” do what is asked (by your self or others). Triangles are my worst nightmare – I’ll do curves and complex free design blocks rather than tackle triangles, so I commend you! And your triangles meet beautifully, well done. I hear you! Everything takes me a LOT longer to get together than I had hoped!